Entrance to Calvary Episcopal Church from the parking lot to the Fellowship Hall. 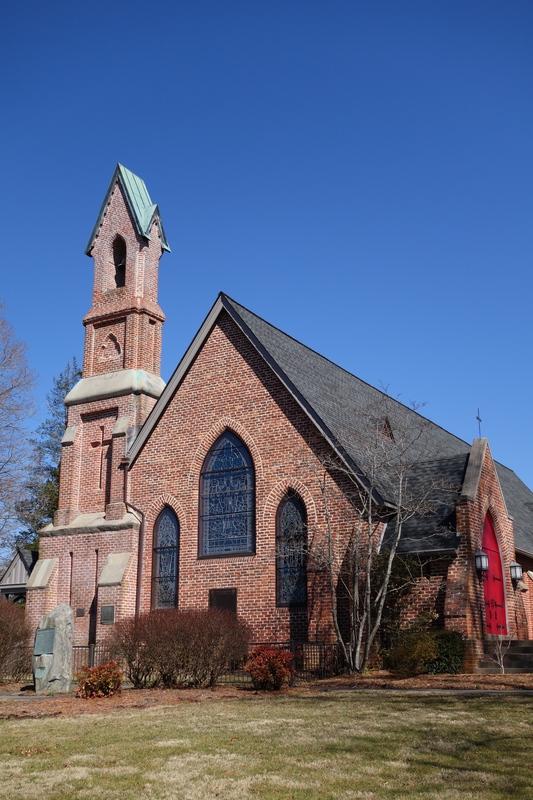 WHERE: Calvary Episcopal Church on Hendersonville Highway (also known at Highway 25) and Old Airport Road in Fletcher. The address is: 2840 Hendersonville Road, Fletcher, NC. We sing in the Parish Hall. 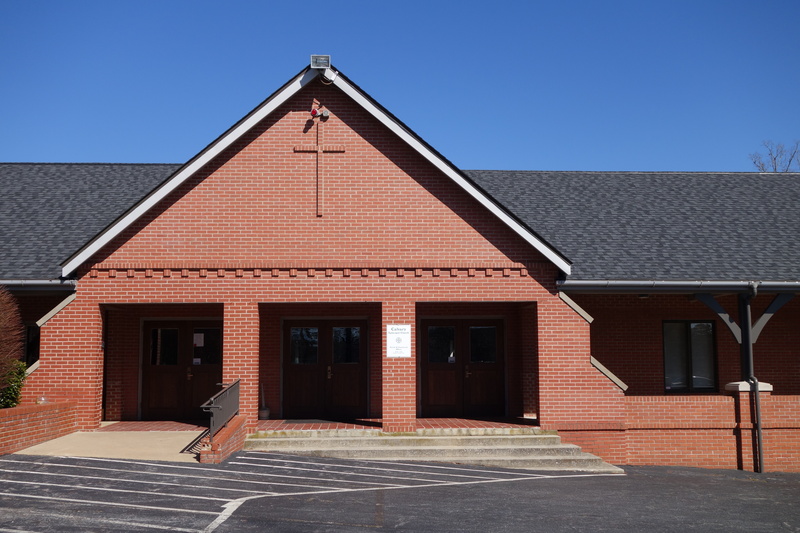 Ample parking in two lots — one in front of the Parish Hall (this entrance is handicap accessible) and the other behind the Parish Hall. DIRECTIONS: From Asheville, south on Highway 25 (also known as Hendersonville Highway). At stoplight for Old Airport Road (Ingles store on right) make a left. Church is the first driveway on left. WHEN: Thursday afternoons at 2pm on July 13, 20, 27 and August 3, 2017.